Hello everyone, winter has come and as we all know how long it can be with out throwing a leg over the old stead and taking it for a good rip. To remedy the situation my dad (DR650) and I (Husky TE 450) have decided to give ice riding a go, we went out on swan lake last weekend, and what a great way to make the winter that much more bearable, we are no pros at ice riding but it was just great to get out and ride after having some time off of the bike. I have a few buddies here in Vernon that also ice ride, but it never hurts to have more people out there, so give it a go, its a blast. 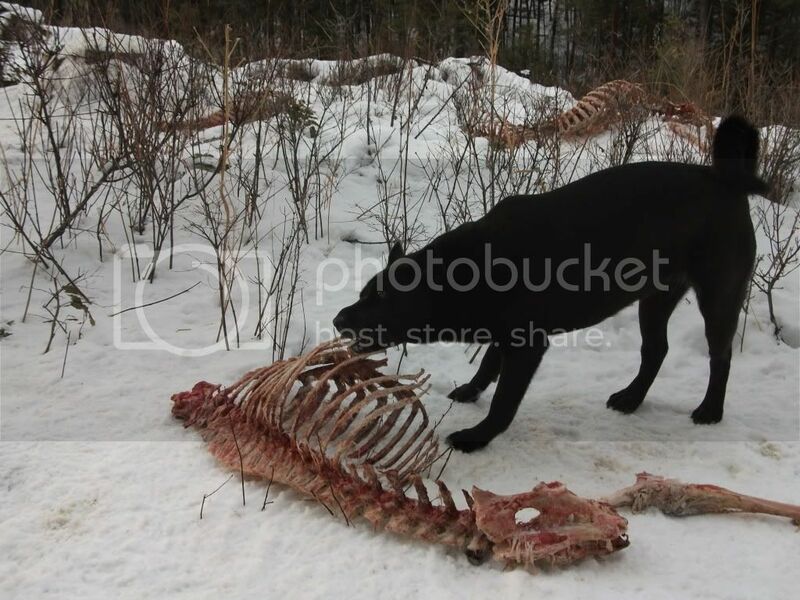 alas,yea,winter has come to the OK valley in late october [kinda early this year] after a stunningly beautiful long summer ...now to buy a battery tender and wait for spring..still insured tho -just in case of a global warming winter..heres my dog enjoying poached deer carcass..
Last edited by zokalr13; 10-26-2012, 01:42 PM.